We were delighted to be asked back again for the 3rd year in row to Old Bawn Community College. 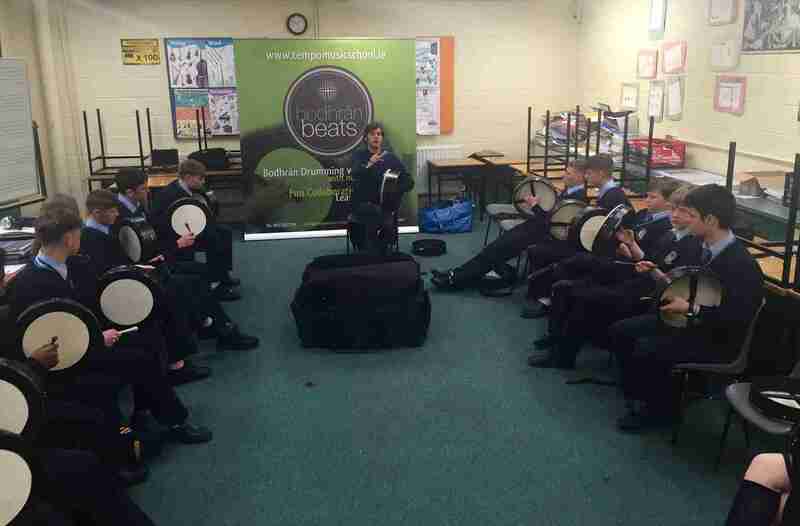 We worked closely with the TY classes, teaching them how to play along to some live Irish music. The groups were brilliant and got involved from the very beginning which is always great for a workshop facilitator. Well done everyone and a big thanks to Sarah for organising the event.